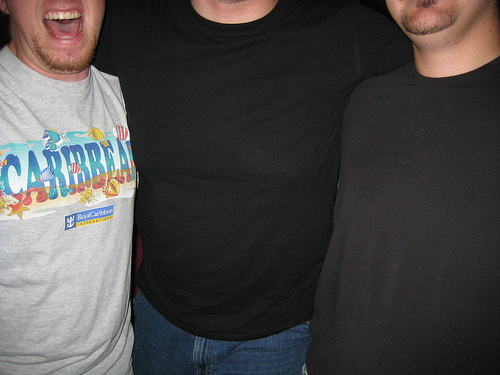 Beer bellies, we have all seen them, some of us have them. Some people display them with pride and other people work hard to rid themselves of the beer belly in search of the six pack abdomen. Ironic isn’t it? Alcohol contains a huge amount of calories, after consuming only a few beers you have drank enough calories to compare it to a small meal. When you consume more calories than you burn, fat is formed. To the calories contained in the beer you can add the calories in the snacks you have while drinking the relaxing cold beer and the lack of exercise you avoid doing while relaxing to drink it. Alcohol is a depressant which slows down your metabolism. Slowed down metabolism means your body is burning less calories, it isn’t metabolizing what you put in it and the sugars are stored as fat. The body also metabolizes the alcohols in your system before it uses the calories we have stored in our bodies. When you drink you eat or snack. Alcohol usually causes us to crave greasy and high fat foods. You have already slowed down your metabolism due to the depressant effect of the beer. So now you begin to eat and consume even more calories that your body will store as fat due to the slowed metabolism. Beer contains hops and hops contain an estrogenic compound. Excess estrogen creates an imbalance in the hormones of both men and women which causes the body to store more fat in the belly region. The body reacts to alcohol as it would a toxin because that is how the body regards it. The body quickly sends the toxin off to the liver to be cleaned, processed and gotten rid of. A toxin in our body takes priority over anything else; the body looks out for number one. By the liver processing the alcohol you are actually preventing your body from processing fat and thereby increasing your beer belly. Beer is a depressant or relaxant. When you get home from a hard day at work and pop the top on that cold beer and sit down in your recliner in front of your television you have just taken another step toward increasing the size of your beer belly. This effect causes you to avoid exercise and you begin to lack in caring for your physical fitness needs.